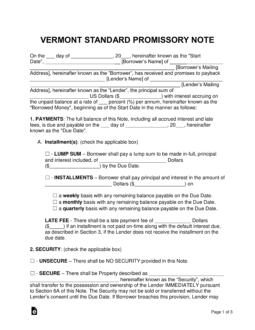 The Vermont promissory note templates are designed for transactions involving the loaning of money from a lender to a borrower. The templates help to ensure both parties are clear on the terms and conditions of the agreement as well as give the transactions some legal validity. 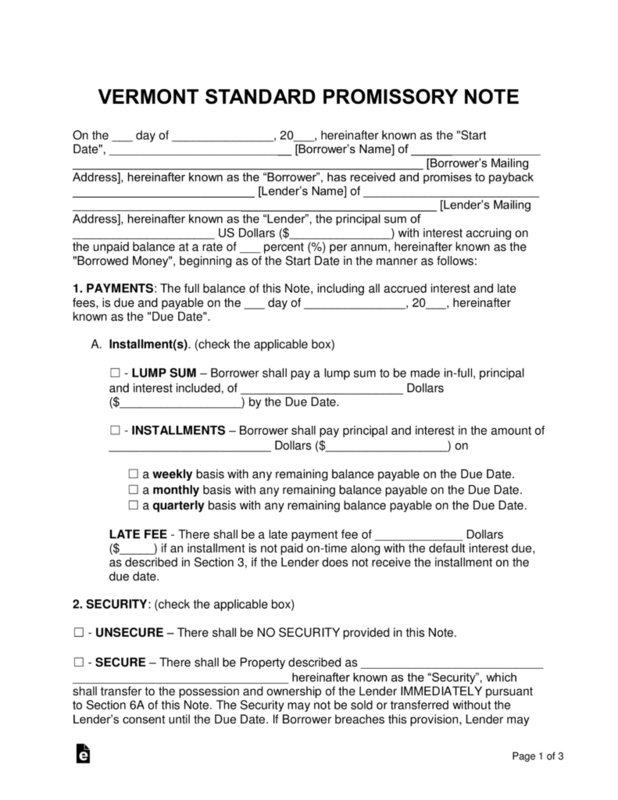 Secured Promissory Note – Provides the lender with a form of monetary protection. If the borrower defaults on the balance and cannot recover, the item put into security is automatically given to the lender to help cover the remaining unpaid balance. Unsecured Promissory Note – Does not include security, leaving the lender at an increased risk for losing the loaned balance if the borrower cannot make payments. Screening potential borrowers and only working with family and friends can help decrease the risk of financial loss to the lender.